A late Georgian property tastefully refurbished in recent years situated in the centre of this popular Eden Valley village. 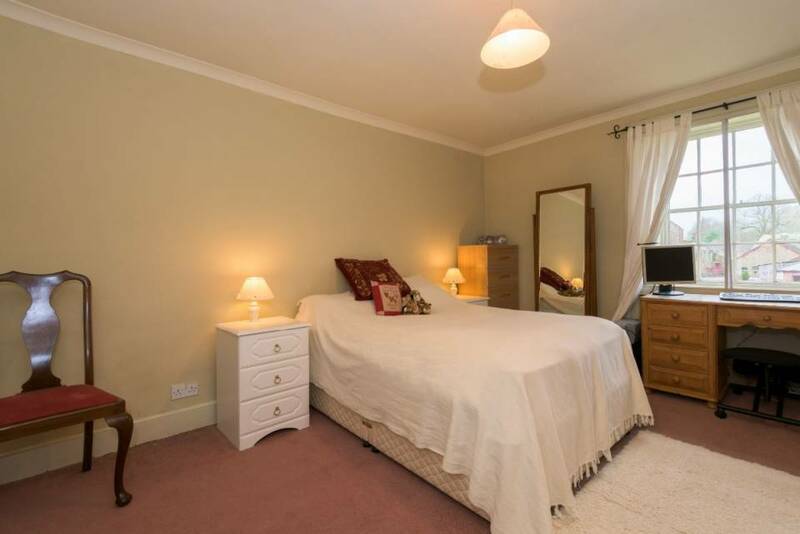 Briefly comprising two reception rooms, kitchen/breakfast room, cellar, four bedrooms and two bathrooms. Garden to the front and walled garden to the rear. Driveway & garage. Woodbine House is listed (Grade II) as being of architectural/historical interest. The property adjoins the churchyard and is nicely set back from the former main road which bisects the now by-passed village. 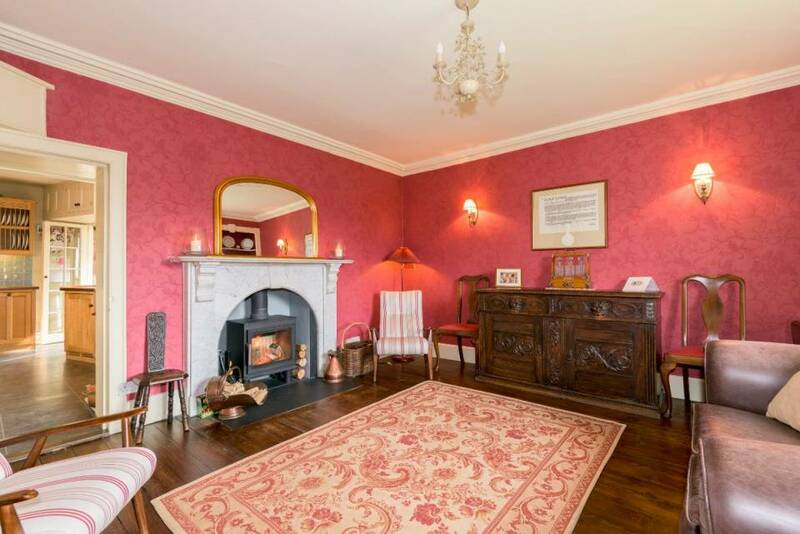 The house probably dates from the late 18th Century and retains traditional characteristics of that period including the moulded plasterwork, working shutters, feature arched gable window on the half landing, panelled doors, etc. 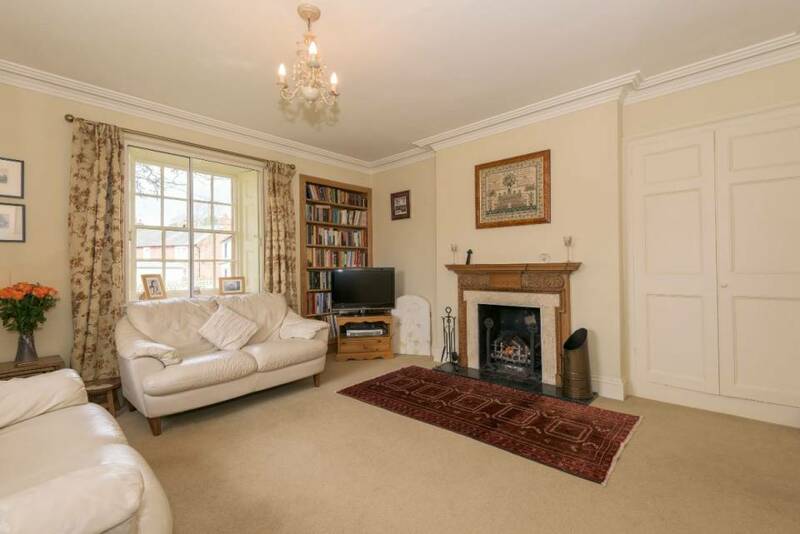 as well as period features such as the open fireplaces. 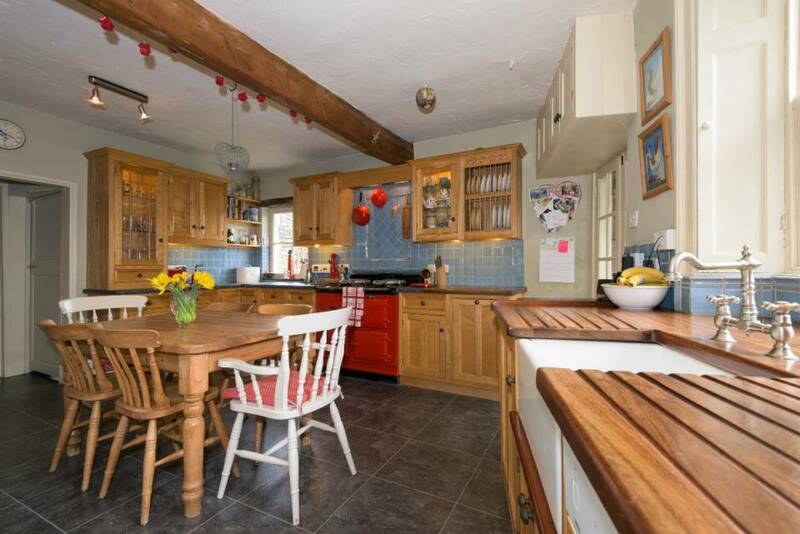 There is a superbly fitted kitchen. The recently-converted loft, currently used as an office and music room, offers a variety of possible uses. With flagged floor, uplighters and feature cornice and arch. Cornice to the ceiling, sandstone flagged floor, radiator. Archway and curved wall. 4.575m x 4.410m (irregular shape room) An extensive range of hand made ash units including illuminated wall cabinets and plate rack, tiled splash backs. 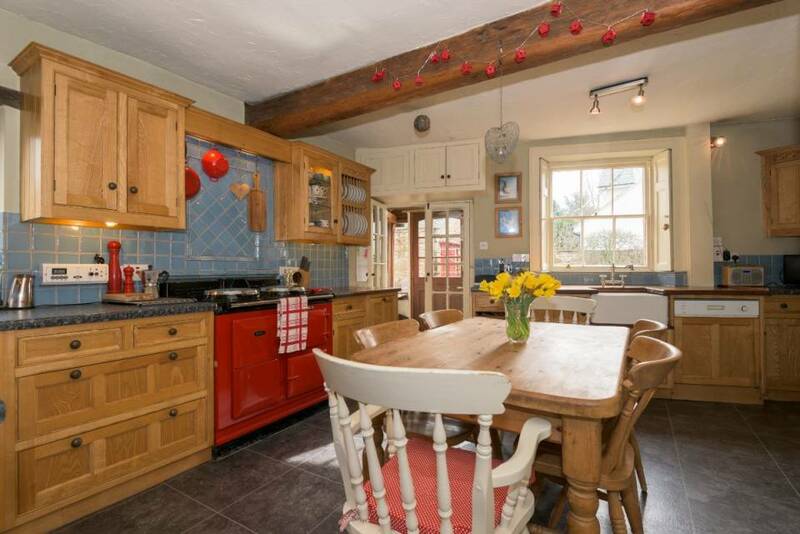 Red AGA, integrated dishwasher, fridge and bin unit, storage baskets. Windows to the side and rear elevation. 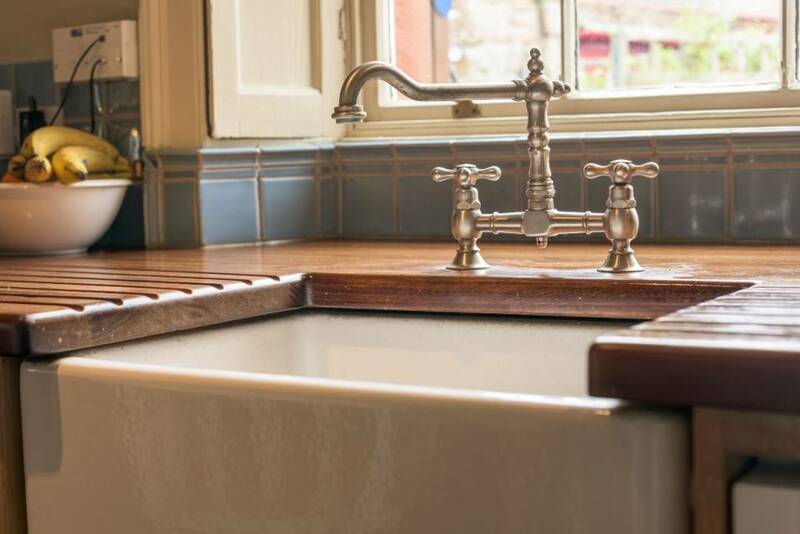 Belfast sink set in a hardwood surround and chopping board. Television point. 1.941m x 2.105m Plumbing for automatic washing machine, wall and base units and double sink. Window to the side elevation, wash hand basin and W/C. Stone stairs lead down from the inner lobby to a passageway and, in turn to three CELLAR AREAS, the first containing the oil-fired central heating boiler. Original sandstone flagged floor. 4.437m x 4.247m Wood burning stove set in Victorian grey veined marble chimney piece. Cornice. Window to the front elevation with shutters. Superb period wall recess with original carved shelving. Radiator and wooden floor. 4.311m x 4.414m Windows to the front and the side elevation with shutters. Cornice. Pine chimney piece carved in oak leaf, marble slips and open fireplace, built in double cupboard and solid oak bookshelves. Radiator and Television point. 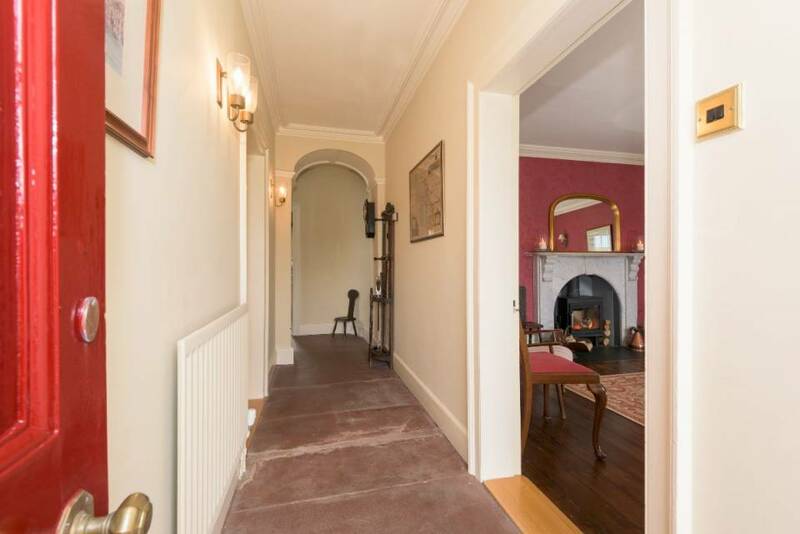 A fine dog-leg staircase with original arched gable window at half landing level leads to the main LANDING. 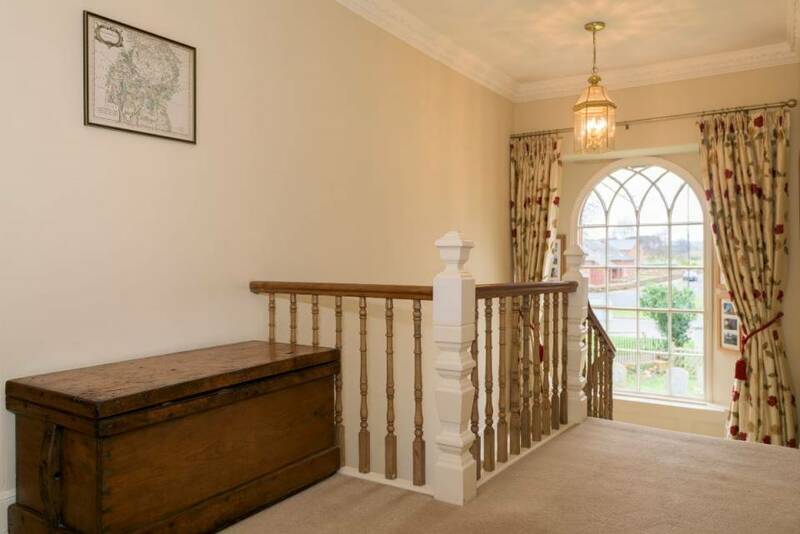 There is an ornate cornice all the way round and the staircase features mahogany handrail, turned spindles and handsome painted newel posts. 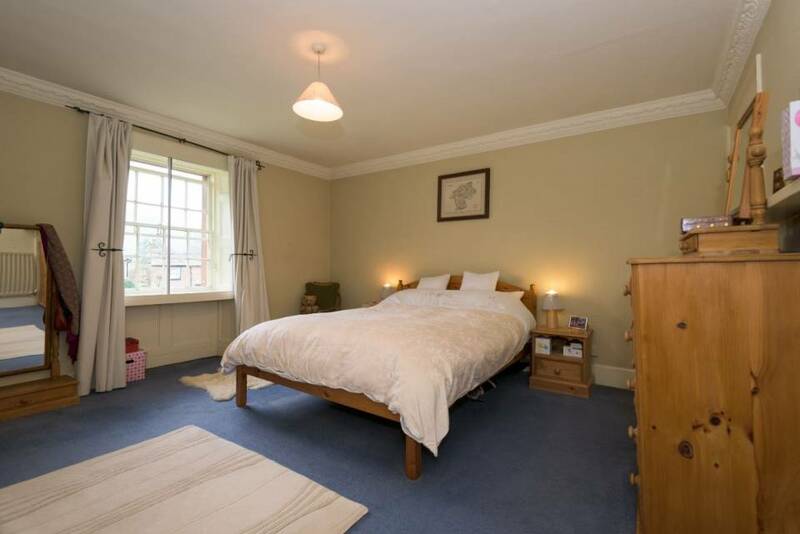 4.184m x 2.067m Double glazed window to the side elevation, recessed ceiling lights and radiator. Hatch with drop down ladder leading to OFFICE/STUDIO (4.184m x 2.067m )with glass balustrades. 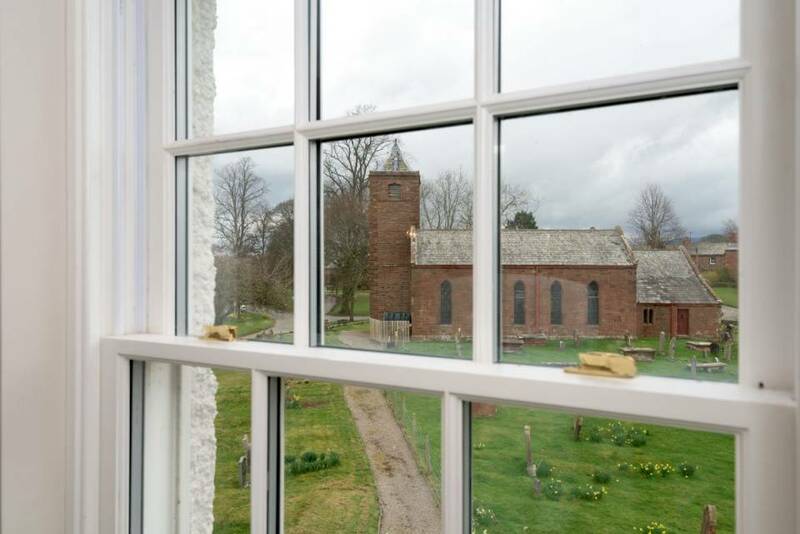 Spot lights, double glazed sash window to the rear elevation and views towards the Church and Cross Fell. 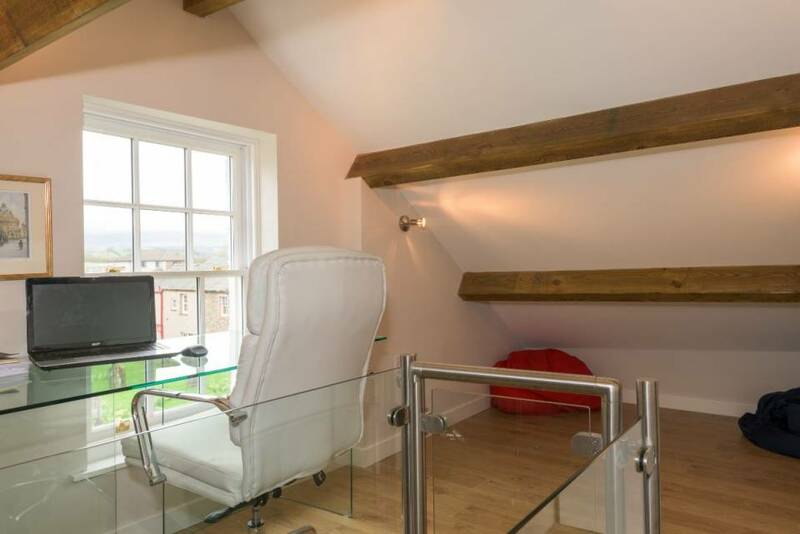 Feature beams to the ceiling and radiator. 3.731m x 1.842m (irregular shaped room) Double glazed sash window to the rear elevation, recessed ceiling lights, radiator and wooden floor. 2.411m x 2.750m (irregular shaped room) Sash window to the side elevation. 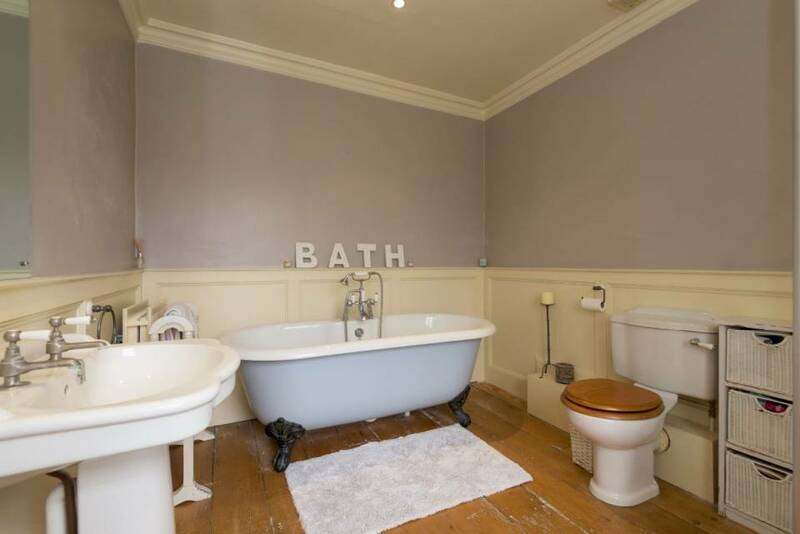 Three piece suite comprising wash hand basin, W/C and bath with mixer tap attachment and folding screen over the bath. Tiled splash backs. Radiator. 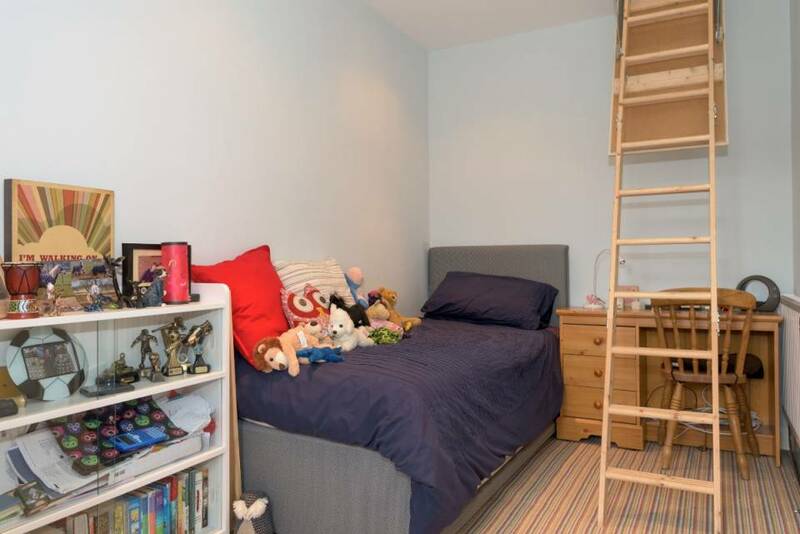 Built in airing cupboard. Wooden floor. 3.513m x 4.273m Window to the front elevation, radiator and built in double cupboard. 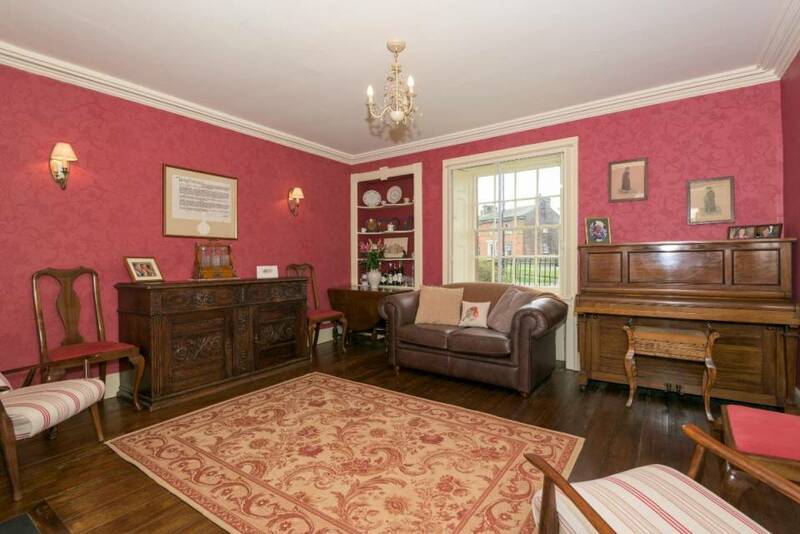 4.339m x 4.193m Window to the front elevation, ornate cornice and built in double cupboard. Radiator. 2.535m x 3.119m Window to the front elevation with cupboard below. Free standing claw/ball bath having side mixer/shower attachment, shower cubicle, basin and W/C. Extractor, cornice and pine flooring. Dado height panelling. Radiator. 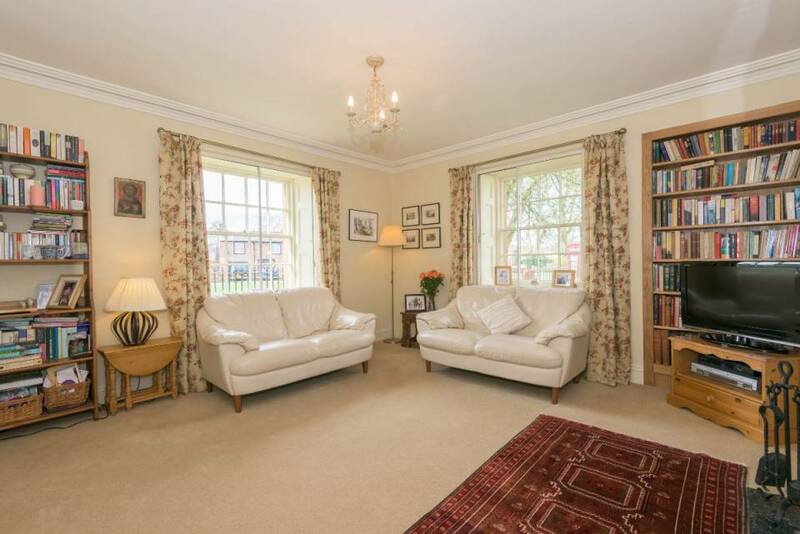 With Listed wrought iron railings and gate, lawns, pathway and flower borders. Both front and rear gardens are planted with mature honeysuckle - or woodbine, to use its American name. 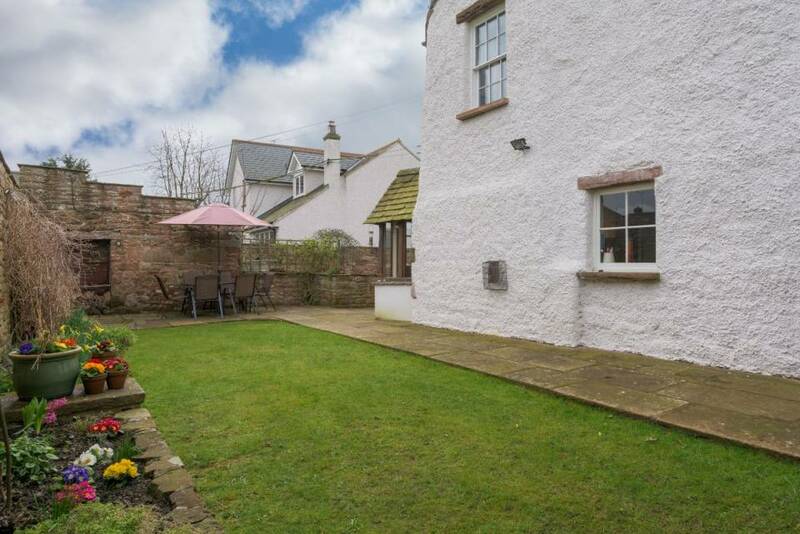 Rear walled garden with flagged paths and patio, high stone walls with niche, neatly kept lawn and raised flower borders. A tarmac driveway provides ample parking for several vehicles and leads to the single garage. The recent new double-bunded oil tank is sited on a stone plinth to the side of the house. 2.297m x 4.095m Having double wooden doors, light and power. 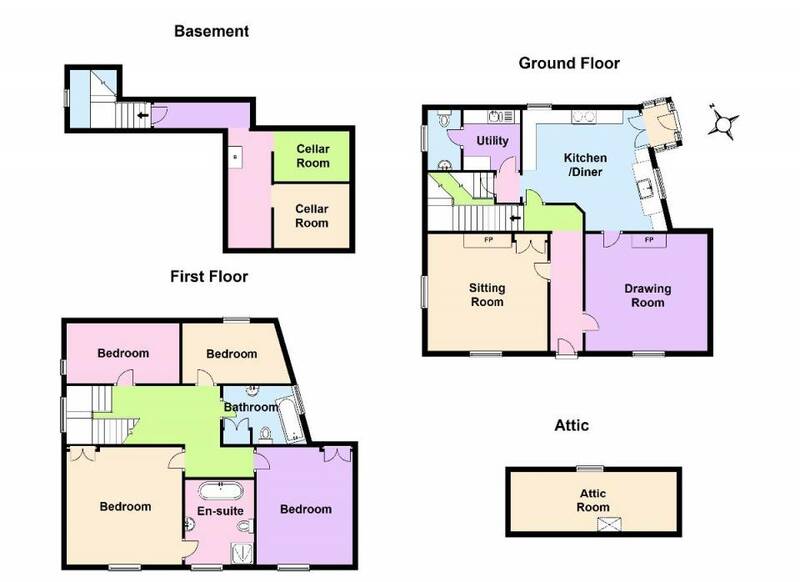 There is a dividing partition into a storage area (1.981m 4.095m) having a window to the front and power points. 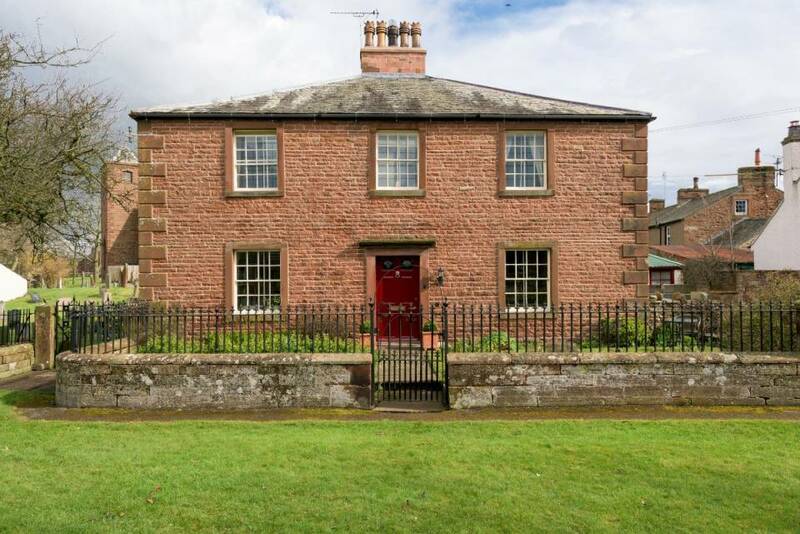 The property is listed (Grade II) as being of architectural or historic interest and is mentioned in the Cumbria volume of The Buildings of England (Hyde and Pevsner 2010). We understand that the tenure of the property is freehold but Title Deeds have not been examined. Mains water, electricity, mains drainage and telephone subject to BT regulations. This is one of our area's most sought after villages and is romantically known as the Queen of Westmorland Villages. 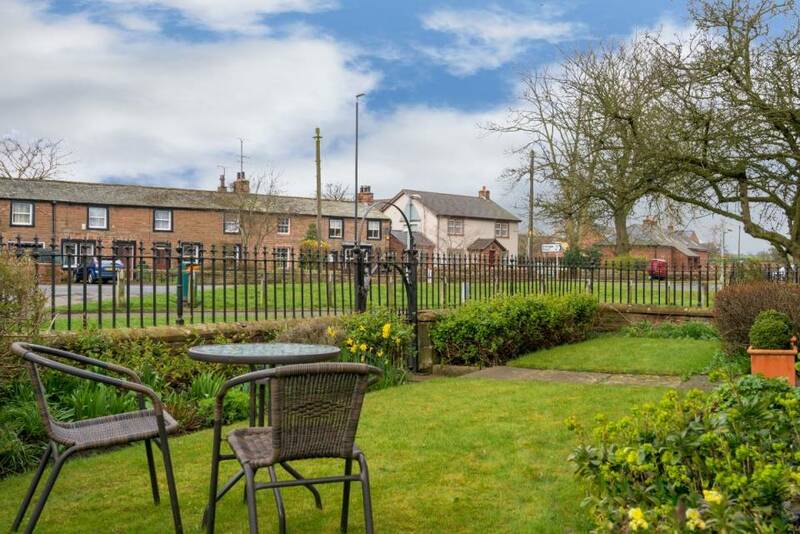 It supports an unusually good range of facilities - church, thriving primary school, doctors' surgery, cricket and bowls clubs, public house, fine hotel, garage and a traditional green with play swings and picnic tables. There are some lovely walks in the surrounding countryside and along the River Eden. 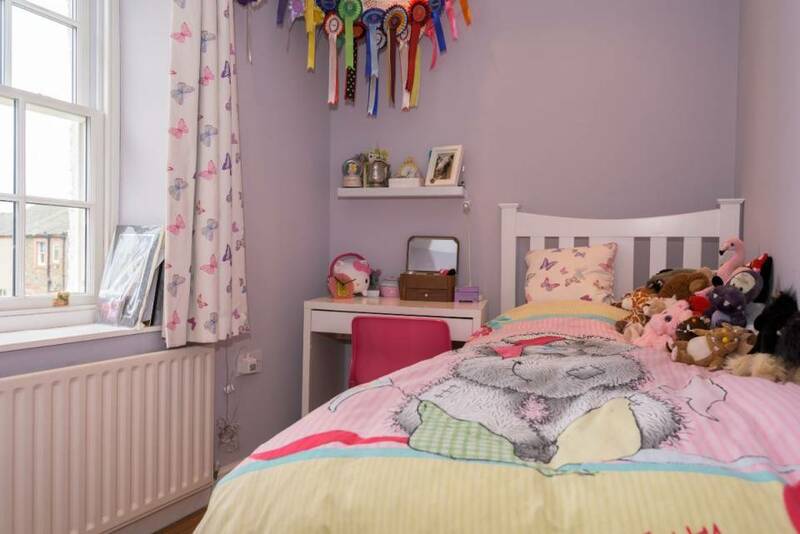 This property belongs to a staff member of Arnison Heelis Estate Agents. 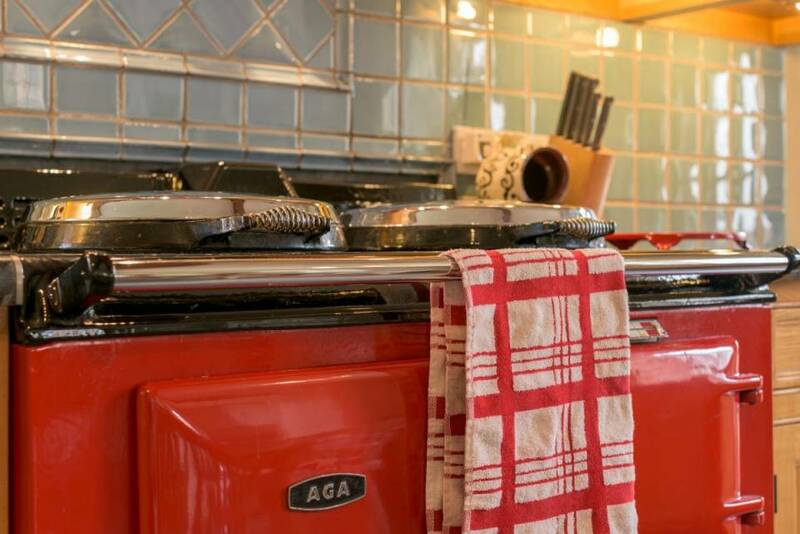 The mention of any appliances and/or services within these sales particulars does not imply that they are in full and efficient working order.